– One of the Weight Watcher’s Good Health Guidelines is taking a multivitamin. 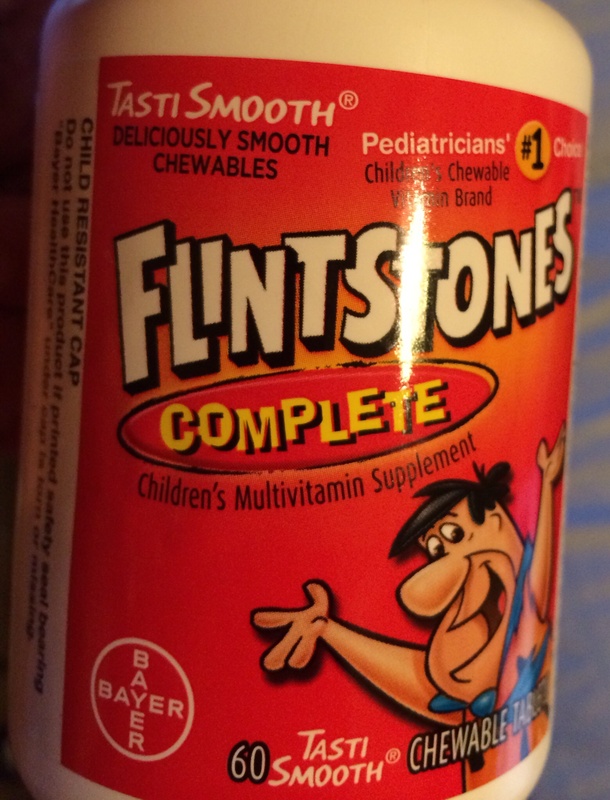 I was never good at following that one until I started sharing my son’s Flintstone vitamins. Just like when I was a kid, I have to remind myself EVERY TIME that they are medicine, not candy and I cannot eat more than one. 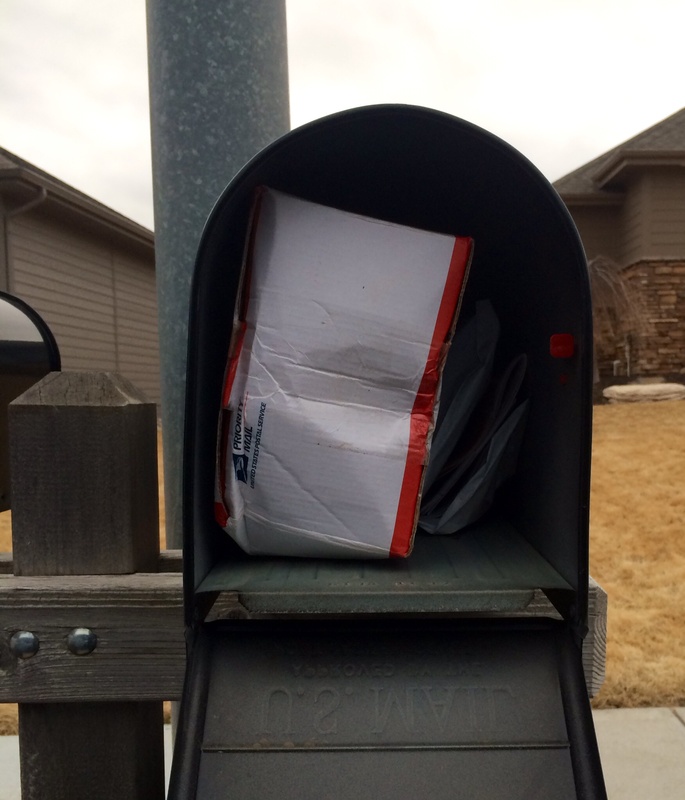 – If I hadn’t had Thor in my pocket to return to Redbox on Saturday’s 5 mile run, I would have turned back at a mile. You would think by now I’d learn that the first mile is always the worst for me. It takes me a mile and a half to warm up enough for running to be fun, but I forget that almost every time I head out! Thank goodness that run was coupled with marking something off of my to-do list. – Last night, I warmed up some leftover black beans for O’s dinner and realized they smelled sort of off. Rather than putting them in the compost bucket, I threw them out because I thought they might not be good for the worms. You know, those worms that are currently happily munching on fuzzy strawberries? Still mentally adjusting to vermicomposting over here. My husband is still laughing at me for worrying about the worms and some old beans. – Last night while watching “Southern at Heart” on the Food Network, I was struck by the fact that watching the Food Network doesn’t make me hungry but watching the Biggest Loser always makes me want cookies. Odd. That’s not the real reason I don’t watch the Biggest Loser, but it doesn’t hurt. – While I bragged about all I got done in my yard and garden yesterday, what I neglected to mention was the fact that my floors in the kitchen/dining room were so messy that my son refused to walk on the floor barefoot and asked to be carried because “there crumbs mama”. The truly embarrassing part (although what must you think of my housekeeping between this and the beans above!) is that I mentally did the math to decide if I could put off the FIVE MINUTE task of sweeping the floor until the cleaners come (2 weeks, so that was a no-go). I sort of feel like I should take some of my gardening Activity Points away just for that moment of laziness. I did sweep, I promise. – My other spurt of productiveness this weekend was putting up loads and loads of laundry. I confess that I am shallow enough to still be very pleasantly stunned at how “tiny” my clothes seem now. I know it is all relative. A couple of years ago, I had to look at the labels to tell if a pair of jeans were mine or my husbands (and truthfully I couldn’t fit into my husband’s jeans), so this is a definite change of pace when putting clothes away. – My husband is going out one night this week for “beer night” with some guys at work. I love him, but also love nights he isn’t around because dinner ends up being a quick and easy veggie fest. My husband loves all food, so he isn’t picky about what I feed him, but I definitely put a lot more thought into dinners when both of us are home. 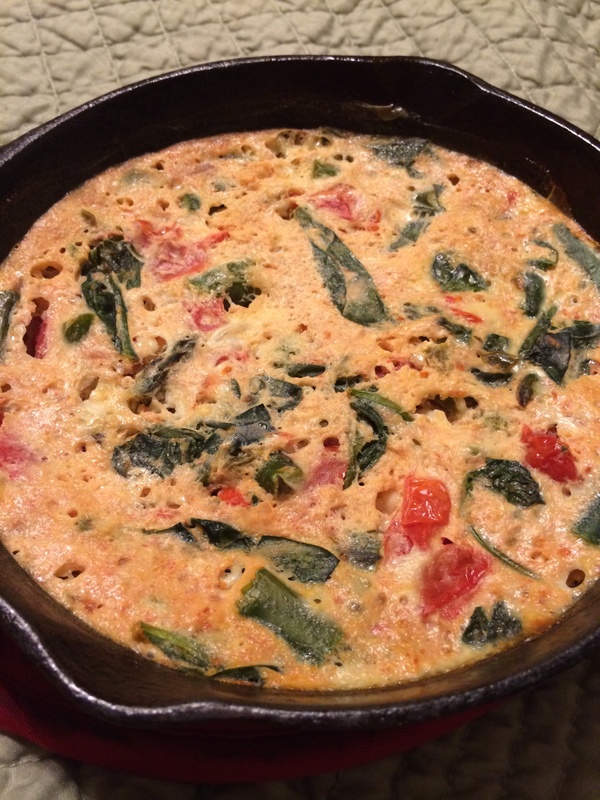 When he’s out, I’ll revert to one of my veggie centric favorites like a huge salad with lots of roasted veggies, black bean/kale/butternut squash quesadillas or the option I’ve been loving lately: frittatas. I spray my grandmother’s 8 inch cast iron skillet with Pam and saute whatever veggies I have on hand. Most recently, I’ve been using a combo of cherry tomatoes chopped in half (6-8), sliced asparagus (3-4 spears) and a handful of fresh spinach. Once things have started softening together, I stir in a couple of tablespoons of salsa and then a mix of one whole egg and half a cup of egg whites. Mix things together and add in your cheese of choice (parm or sharp cheddar work really well; cottage cheese also works). Let things set up for a couple of minute and then transfer to a 350 F oven for 15 minutes or so, or until things are set. It’s a nice meatless protein option, plus a great way to use up any veggies you have on hand. You could put anything in this. I like that it feels a little more substantial and purposeful than a typical scramble. Plus, the whole pan is 3 points for the eggs + egg whites with free veggies/salsa and whatever points you need for cheese. – No matter how much I adore this child, I still said no when he asked to sit in my lap when he was going into the bathroom today to try the potty. 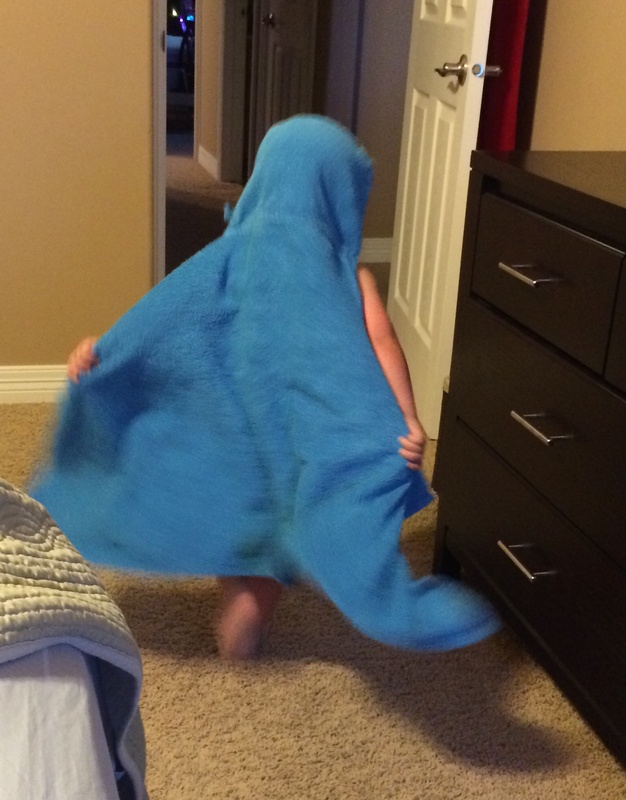 I love him dearly, but I think potty training is going to kill me. Who else has some laughs on Monday morning? Check out prior Confessions here and here. Weekly Wrap-Up: A productive weekend! Friday: Short workout, but good speed intervals. 15 minutes running at the gym, with 30 seconds fast/1 minute recovery jog. The “fast” sections got progressively faster as I went along, with the last one at an 8 minute mile! Saturday: 5 miles, to head down the street and return our BluRay of Thor Dark World (aside from Loki and the always lovely shirtless Thor, not great) to Red Box. It amazes me that I can get what feels like a “long run” number of miles done in less than an hour. Sunday: Over an hour of pruning and weeding more than counts as a workout I think! My arms are pleasantly sore and I have lots of steps, so it definitely counts in my mind. I did some foam rolling too (before my son took the roller to use as a sword). This week was really busy at work and made me realize how much I relying on the “training plan” mentality to get my runs done pre-half marathon. When I had a schedule to follow, I made sure to get up in the morning to do it or get out of work a little early to get hings done. This week, without that schedule to follow, it was really easy to let other tasks take priority. Those days without a workout weren’t planned rest days by any means. Some of those tasks were lovely, like breakfast with O, but some were just busy work. I am glad that I at least got that short workout in on Friday. If it can’t be big in quantity, at least there can be a quality element in terms of speed work right? It’s a glass tile that O wants to hang in our window. He appears to really like it but I think I’ll save it for my mom for Mother’s Day as she has a lot of those colors in her kitchen. Mom’s never outgrow wanting a homemade project for Mother’s Day, right? PS I’ve gotten so used to writing posts from my iPad that it is throwing me off to be on my laptop! I keep touching the screen and wondering why it isn’t responding! Totally a first world problem, right? PS#2 I’m being profiled tomorrow over on RealInto. Looking forward to seeing it! 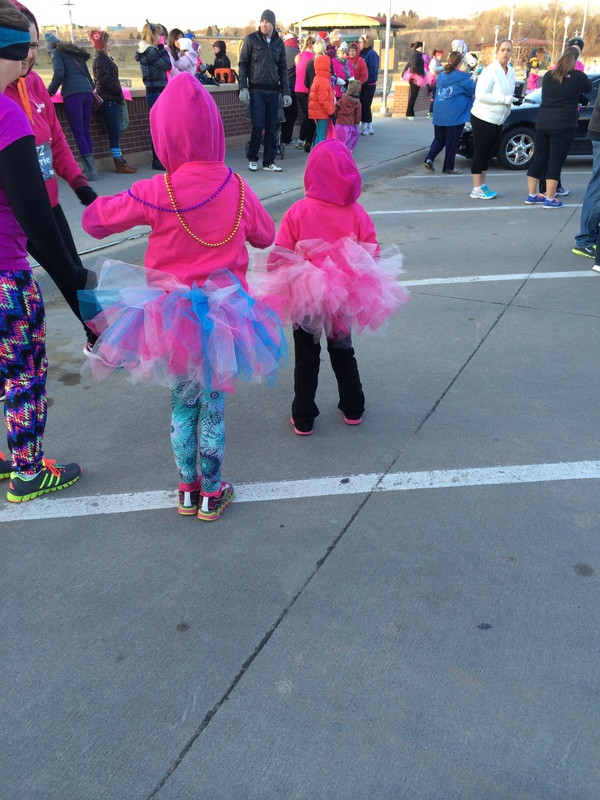 Friday Favorites: Heading out to buy a tutu! I am a big fan of girl-themed races (see Princess Half Marathon here and here, which got me into long distance running) and of my beloved SparkleSkirts for races but I have actually never run in a tutu. 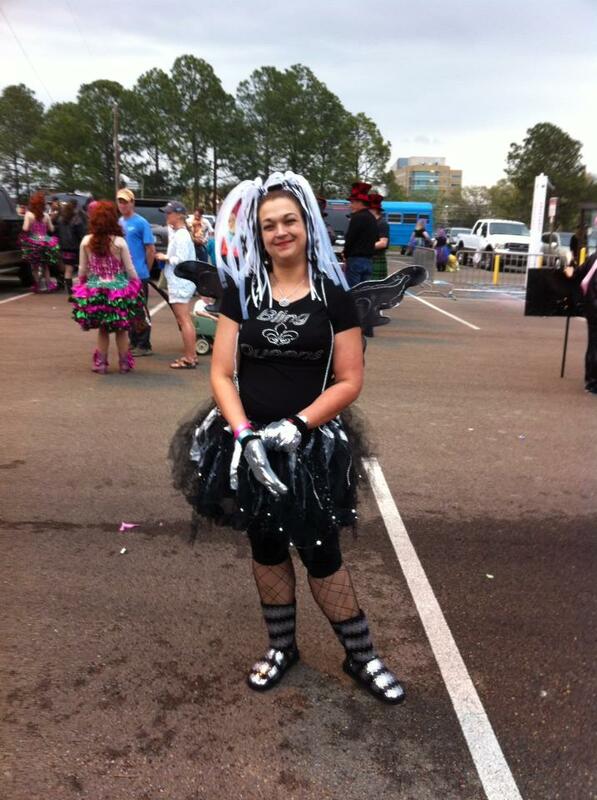 After this week’s uproar over Self Magazine’s post including tutu’s as “lame” and their very lackluster apology, I think I’ll be heading out for a tutu this weekend. The biggest issue for me is actually not the fact that they misled the runner when they used her picture (although ick!) or that she was celebrating her first marathon since starting chemo (and really, when did I ever imagine saying cancer would not be a big deal? Good for her and I hope she’s well!). The biggest issue for me, and the reason I dropped my Self Magazine subscription a long time ago, is the fact that they’re making fun of women who are being active in any way shape or form! I don’t care what you wear to be active – good for you for being active! I’ve been to a stripper workout class with a girl who showed up in her underwear. Good for her! Do whatever it takes to make you feel good and gets you moving! How dare they make fun of anybody being active? That just fits in with what turned me off about Self in the first place: they embrace a certain narrow view of fitness and that’s just so counterproductive and insulting. I really enjoyed this open letter to Self and I’m sure more of these are going to show up over the next few days. I hope Self actually realizes the magnitude of their screw up here. Their apologies so far have reflected the fact that they realize they mistreated the absolutely the wrong person, not the fact that they shouldn’t have been treating anyone that way at all. Tutus are a big part of the reason women are the fastest growing segment of the running community and I am seriously tempted to buy one now! 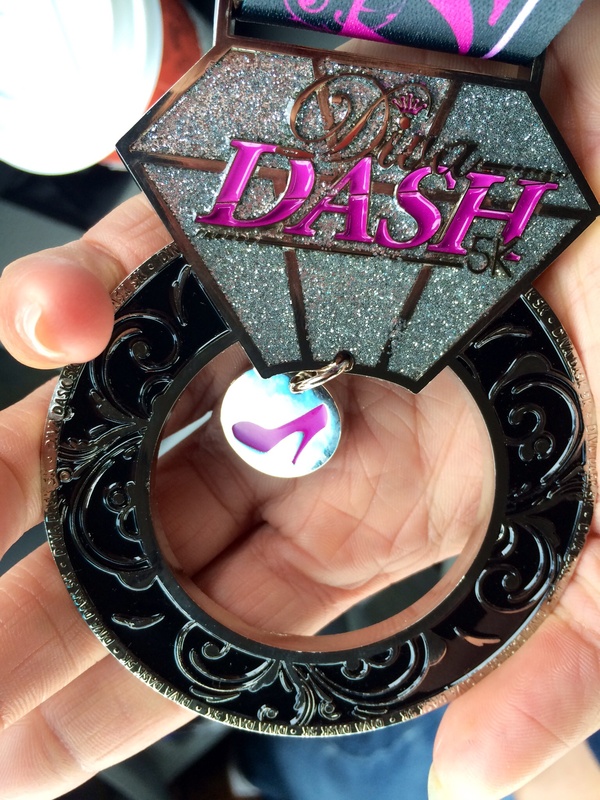 As I said last week about the Diva Dash 5K, I love seeing women who aren’t “traditional” runners out being active – that’s a beautiful thing. Somewhat psychically, I suspect, Emmie wrote earlier this week (before this Self nonsense even occurred) about how important it was to advocate for real portrayals of fitness in media because the more approachable we make the idea of fitness, the more people will be involved and not be intimidated. While it was nice to see Self respond to the massive social media outpouring yesterday with some kind of apology (yay for the positive power of our voices!) it was kind of funny to see that most of their social media feeds during the time all of this was going on were the usual “fight belly bloat”, “lose 10 pounds”, “get a glowing face” superficial nonsense. We really need to change the tone of our discussions about women’s health and blogs like all of those I’ve linked to in these posts this week are a great way to do that. Thank you to you all! 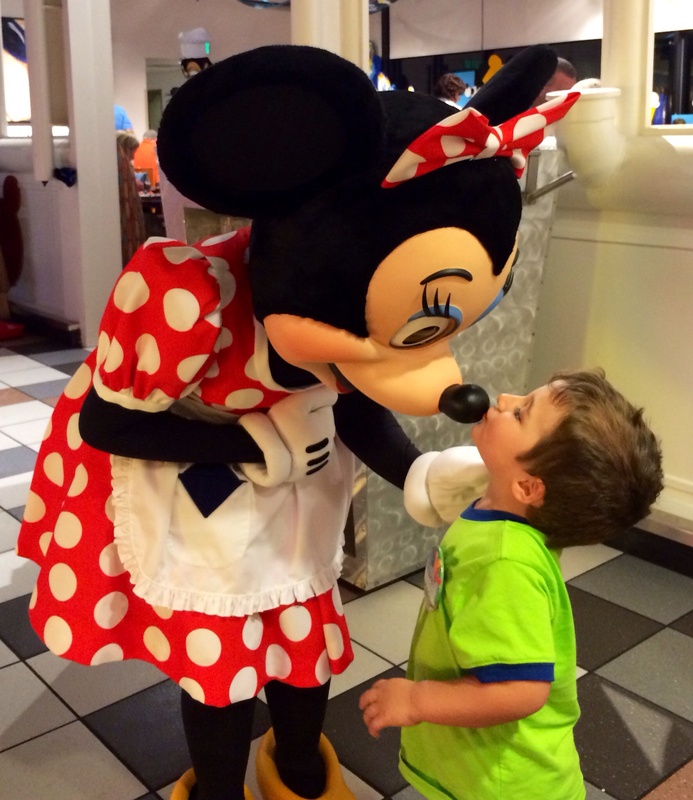 On the heels of all of this, today’s post from We Run Disney was absolutely perfect. There are so many things to value in running and in fitness (Core Values of the Running Community) but I am continually stunned and warmed by the amount of encouragement and support and acceptance most runners show to each other. Yes, this is a competitive sport but for most of us, the competition is within ourselves. I didn’t realize that until I really opened myself up to this community and it is a beautiful thing. This weekend, be active however you want, wearing whatever you want and have fun! One of the biggest lifestyle changes we’ve made as a family is incorporating more fresh fruits and vegetables in our daily diet. We’ve joined our local Community Supported Agriculture program (read about that here) and last year we put in a garden in our back yard. Seeing lots of variety in fresh fruits and vegetables and the fun of growing fruits and vegetables is really helping my son avoid the “veggies are icky” attitude so far. Last spring, he loved going into the garden to pick veggies and we had a hard time keeping him from eating the veggies while we were still out in the yard before we could get them washed! 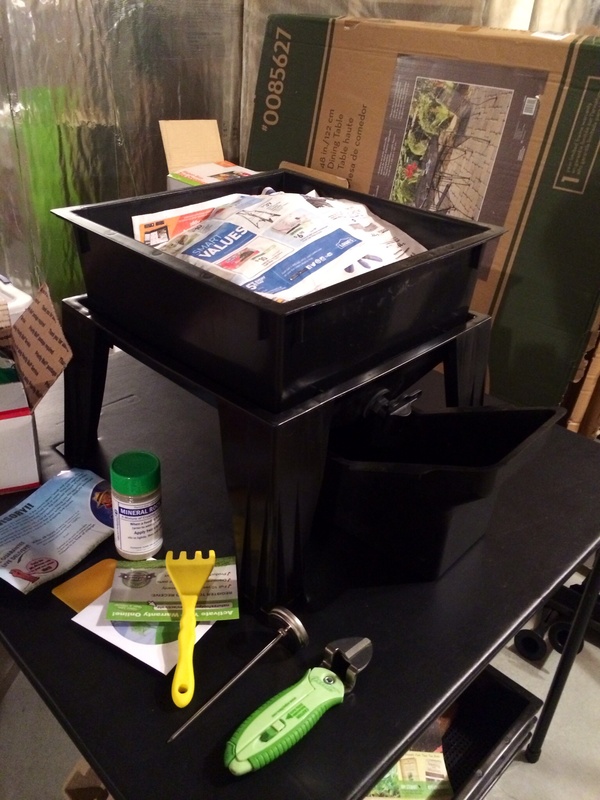 Vermicomposting is composting with worms and is something that you can do indoors, with generally less maintenance and smell that traditional compost bins. It takes advantage of what worms do in nature: eat and break down organic materials and return to the soil (via worm poop, yes). It can be done fairly simply (here‘s a good overview) and many classrooms use it as a way to teach some life cycle concepts. We went with a pre-fab worm factory for simplicity, but you can do this with a wide variety of containers. For ours, we’ve started with a single tray that is filled with shredded newpapers, some pumice fragments, coir and soil from our garden to establish our local microbes in the compost. There’s a layer of newspaper over the top to keep things moist. The worms we got for our worm factory aren’t just from the backyard. Garden variety earthworms wander so they aren’t ideal for this process. I don’t want worms wandering in my basement! 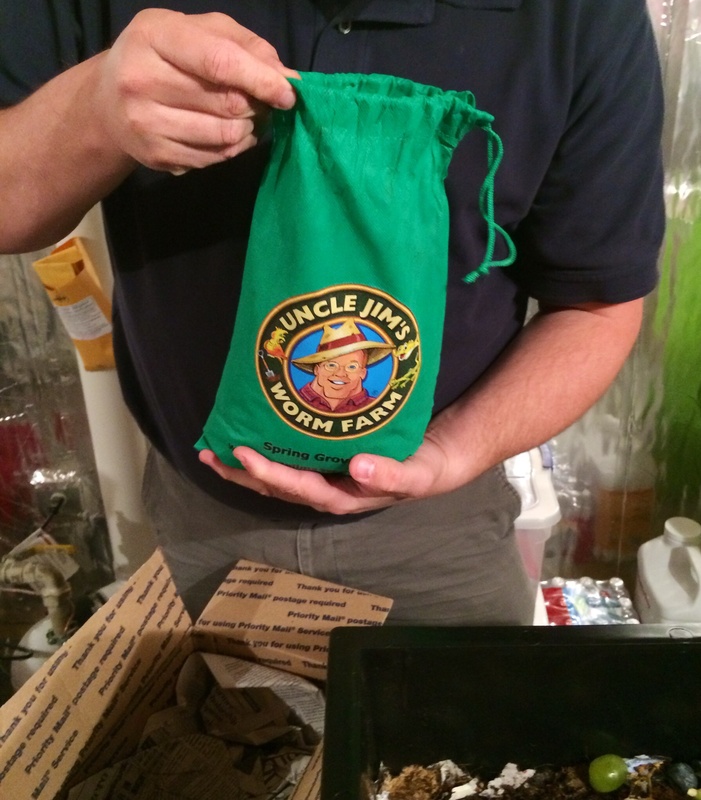 “Red wigglers” are apparently ideal, so we ordered 1000 worms from Uncle Jim’s Worm farm. Thus, worms in my mailbox when I got home. We added the worms, plus 2 pounds of compost material to the worm factory. Apparently we can expect them to eat 1/2 pound of material a day once they get settled in, which is amazing to me! Our worm food included a mix of strawberry hulls, dropped blueberries, grape stems, egg shells, and coffee grounds for today. In general, the worms prefer fresh fruits and veggies and the more variety, the better. We’ll avoid dairy, fats and meats because those take a long time for worms to process and are more likely to attract pests because they sit around longer. This is in my house, so I definitely do NOT want to attract pests. While we were waiting for the worms to arrive, I just kept scraps in a bowl on the counter but today I’m ordering a lidded bucket to keep things in upstairs and I anticipate we’ll be taking it down to the worms every day or two. 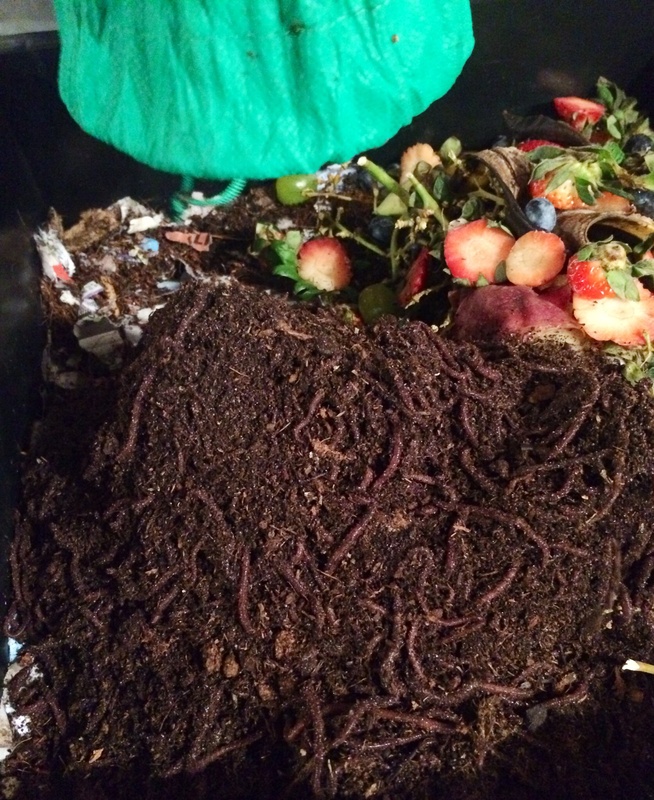 I’m curious to see how long it takes the worms to work through the food in the bin. With our particular set up, we’ll add a new tray when it looks like the worms are done with the food in one tray and they’ll crawl up to the new tray, leaving behind the compost that we can then take to our garden. One of the instructions we got with the worms was to leave the lights on so that the worms could get used to their new home. My husband forgot this and turned the lights off for a while. When he remembered and came back to turn the light on again, he found 30 worms or so that had wandered out of the factory! Anybody else getting excited about gardening (if spring ever manages to get here!)? 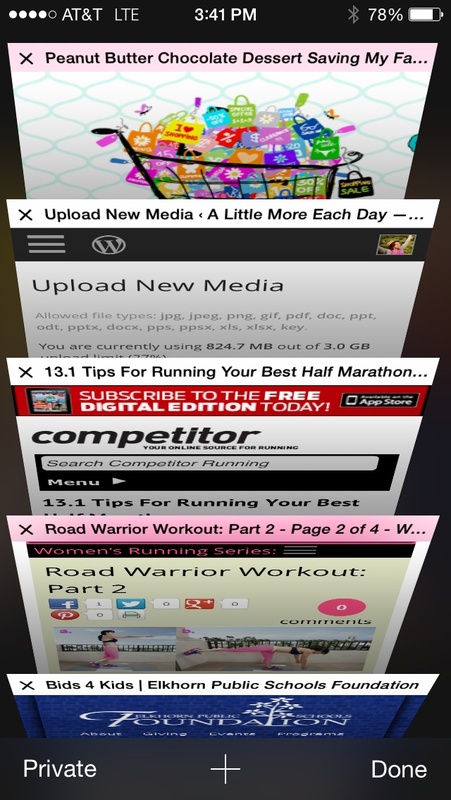 I was entertained today looking at the windows open on my iPhone, which are a mix of running and health related articles plus a truly decadent chocolate-peanut butter pie I was thinking of trying out for my husband. So many people, myself included, interact with the world as much via our web- and smart phone-based platforms as we do via actual human interaction, especially when it comes to issues like weight loss and lifestyle changes. It can be scary to admit to the people around you in real life that you’re trying to take up running or trying to lose weight. I know I was reluctant for people to know that I was trying to lose weight, because then I felt like everyone would know if I failed. I know other people who experience a lot of undermining and actual sabotage if they tell their loved ones that they are trying to make changes. Given all of this, the virtual world can be in many ways a safer and more helpful place to find support. I know for me, in addition to a fear of failure, I felt like there really wasn’t anyone in my “real” world who understood the magnitude of what I was dealing with as I looked at losing 100 plus pounds or trying to figure out binge eating or trying to start to run when moving at 4 mph for even 30 seconds was tough. I started with the Weight Watchers 100 pounds to lose message board, which you do not have to be a WW member to use. There were lots of people there to answer practical questions about the WW program but also lots of people to talk to about the struggles of loose skin, of feeling fat even when the mirror said otherwise, of losing your identity when you no longer had obesity to hide behind, and of dealing with unexpected gains on the scale. That was where I really learned the value of identifying non-scale victories to keep motivated along this journey and where I felt like I could be really honest about my struggles and concerns in ways that I really wasn’t comfortable discussing in the WW meetings themselves. I’ve also used the SparkPeople message boards and blogs to find support. There are similar boards and groups via MyFitnessPal as well. Several friends have started groups on Facebook as they’ve tried to lose weight, finding it a helpful way to get support and input from others on Facebook without having to discuss your concerns with everyone you knew in high school. Even in maintenance, I try to participate in these if one of my friends has started it because I know how helpful it was for me to have moral support from others when I was losing and how practically useful it can be to have someone “on the other side” of the weight loss journey to answer questions. With Facebook changing its policies on managing blog pages, it’ll be interesting to see that affects that dynamic as I know several of the blogs I follow have active communities via Facebook as well for real-time support beyond what blog posts can offer. Of course, I’ve also gotten a lot from the blogs I started following when I first began losing weight and now that I’m more active with blogging myself. It’s amazing to me how interactive blogs can be. Before I started writing myself, I was always a “lurker”, reading without commenting or interacting much, but now I realize that most bloggers really do want to answer questions and interact with readers. (If you ever want to ask me a question without posting it as a public comment, feel free to email me!) I’m fascinated by blog link ups and groups in which multiple bloggers are banded together for support and encouragement. It really is a rich community! As much as I value the ritual of my Weight Watchers meetings each weekend, I have to say I definitely get more day to day support of my weight loss and maintenance via online support. What groups have you found helpful online? Do you find it easier to talk about sensitive weight and lifestyle issues behind our relative anonymity of the web? I know I’ve certainly asked questions online (and here) that I’d be much more reluctant discuss in real life! 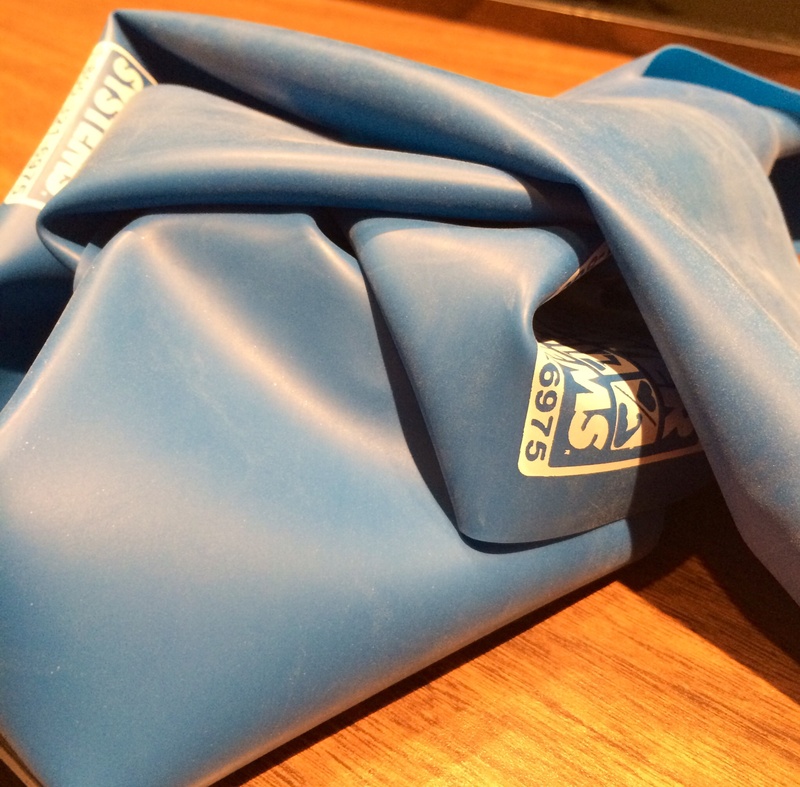 They’ll apparently be sending out emails with specific exercises using the bands, which should be interesting. This is the first time I’ve actually attended one of the kick-off events for the wellness programs, even though I’ve participated in prior programs (we seem to have a couple a year) online. I have to say, a lecture in a dark room with lots of little video clips doesn’t feel very “inspiring” or “energizing” to me, but I do appreciate the intent and the effort. It’s not perfect. We do have to pay for the fitness center and the costs of the salad bar are atrocious in the cafeteria (seriously, twice as much for my healthy lunch if I go there than it would be for a burger and fries). Still, I appreciate the effort. This is the third university I’ve worked with in the last ten years and the first that offered this kind of programming. *To be fair, my prior employers may have offered it and I wasn’t aware of it or maybe they offer it now as this is a relatively new phenomena in the workplace. * More and more companies around the country are offering wellness programs for their employees because there have been studies suggesting that a healthier workforce is more productive and costs less from an insurance perspective. The thing I find most interesting is some of the reactions I’ve heard from people who are less active in response to these types of programs, in which they see it as a gateway to future punishments for them for their lifestyle choices. Where is the balance between rewarding employees for healthier choices, in hopes that those rewards get more people to make these choices , and inadvertently (or intentionally) punishing those who are making other choices? I don’t know the answer but am curious about your experiences with health & wellness programs at your workplace and how they’ve been received. PS No crazy dreams last night thank goodness! Maybe my brain is done working on whatever it was dealing with or maybe skipping caffeine after 6 o’clock helped. I’m also going to take Lauren’s advice and just get out to run even if I’m tired because a good run definitely helps me work out a lot of mental stuff! This afternoon, no matter what else comes up, I will run! Crazy dreams screwing up my week! For the last several nights, I’ve been having very odd and very realistic dreams that leave me feeling exhausted (and slightly confused) when I wake up in the morning. From a health and fitness perspective, it’s really frustrating because I definitely don’t feel like I’m firing on all cylinders (or any cylinders really!). – I haven’t been able to drag myself out of bed early enough to get any kind of morning workout done, even though I know that would help give me a little more oomph to get through my day and it would mean I get my workout done before the end of the day dragging and fatigue catches up to me (and that’s catching up sooner with the bad sleep lately!). – I’m drinking way more coffee to get through the day! I’m all for antioxidants and the lovely data that shows that coffee is helpful for Alzheimer’s risks, etc but at this point I’m up to 3 large coffees a day just to keep my eyes open and I know that’s a) contributing to the sleep issues at night and b) definitely contributing to the queasy stomach I’ve had since this started. *Realizing now what I would think hearing this cluster of symptoms from someone else, I assure you I am not pregnant. We are one and done unless we decide to adopt in a few years. – Not only am I finding it harder to work out, I’m constantly hungry! I always find it harder to make good food choices when I’m tired and definitely always feel like I’m starving when I’m tired. When I was pregnant and monitoring my blood sugars thanks to gestational diabetes, I always had much higher fasting blood sugars in the morning if I’d had a night where I slept badly, so I know sleep definitely affects my hormones that control my blood sugar and hunger cues can definitely follow that. Carbs (lots and lots of carbs!) are what my tired and reflux-y self is craving right now and I know that’s an even bigger vicious circle for me than the coffee! Ugh. This is definitely the kind of tired that would have set me up for one or more fast food stops on the way home in the past. I think I may actually stop at the grocery store to get some fruit so that I have a healthy snack to keep me busy on the way home. Maybe it’s time to take up meditating before bed to see if that helps things settle down a little? 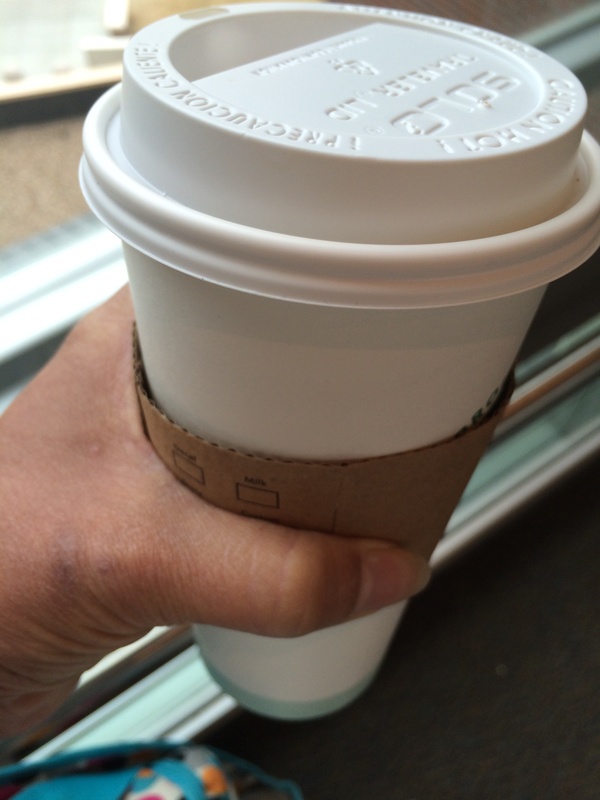 Cut off caffeine after lunch (ouch)? Just wait it out so that my subconscious can process whatever it needs to do with these dreams? Do you find it harder to stay on a healthy path when your sleep is off? Any cures for crazy dreams out there? Weekly Wrap-Up: Feel like it’s getting back to normal! This week, I finally feel like I’m getting back to my normal workout routine! Closer to it, at least. My toe is still holding up well to running. I have an occasional ache in it and it still hurts if someone steps on it, but that’s true whether or not I’m running so I’ll keep running it on it for now. This week I have been able to check a few things off of my goal list for the month/year, including starting some speed work and figuring out what my non-training plan running will look like. While this week’s runs were all fairly short, in spirit they reflect what I’d like the next couple of months to look like: a run for fun, a run with some speedwork and a longer run on the weekend. Of course, I’d like the longer run to be in the 4-6 mile range (depending on time) rather than 3 miles like this week’s “long” run, but I’ll get back to that in the next week or two. 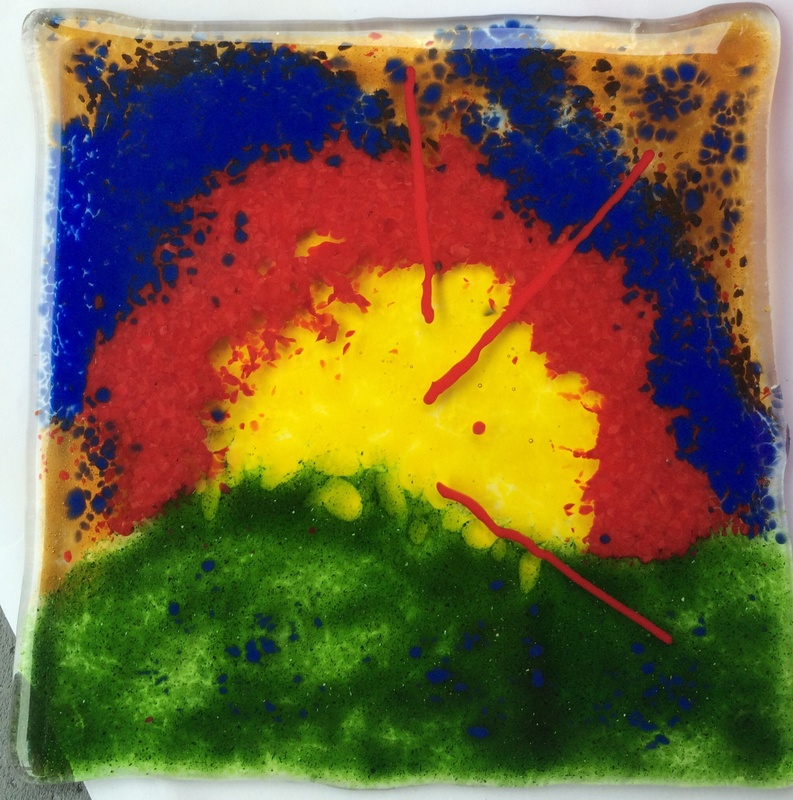 Today, I’ll also be marking another item off of my list for this month: going to a glass fusing class. I won the class in an auction in the fall and am determined to use it. I’m bad about signing up for “fluffy” things like that and never following through. Today I will stretch my woefully underused creative muscles. Here’s hoping I don’t burn myself too badly! Monday: A short, but fun little mile between work and picking O up from daycare – not much time to get a workout in, but I’m proud of myself for getting something done and the weather was gorgeous! Wednesday: A little over a mile and a half, with 6 intervals of 30 seconds “fast” and 60 seconds recovery. I was seriously sore Thursday after this little round of speedwork, so hopefully that means it is helping build up some faster muscles! Thursday/Friday: Rest (not really intentional – just busy!) I did spend about 15 minutes stretching Friday night, knowing that I had the 5K on Friday night. 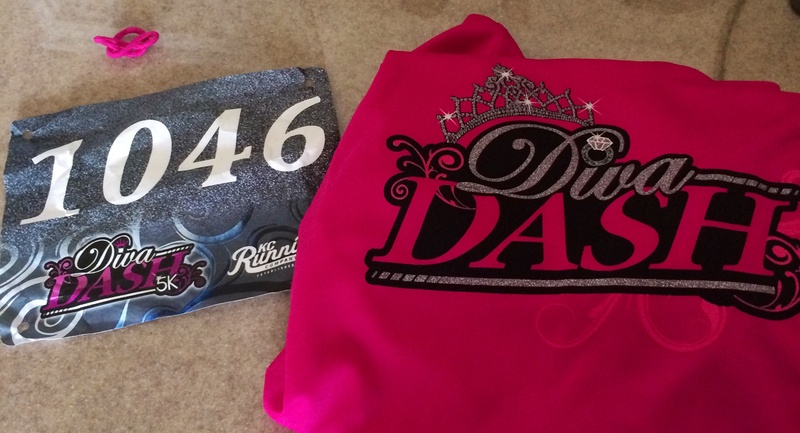 Saturday: 3.15 miles at the DivaDash5K (32:30) on a cold and windy morning. It felt great to start the day with a run! I miss that part of my weekend routine from half marathon training, so I think I’ll get back in the habit of running on Saturday mornings after Weight Watchers (or maybe even before WW, once it warms up some). Sunday: I plan to stop at the gym on the way home from my glass class this afternoon and will get a run in then. We’re apparently expecting snow again! Omaha hasn’t gotten the memo that it is spring time. 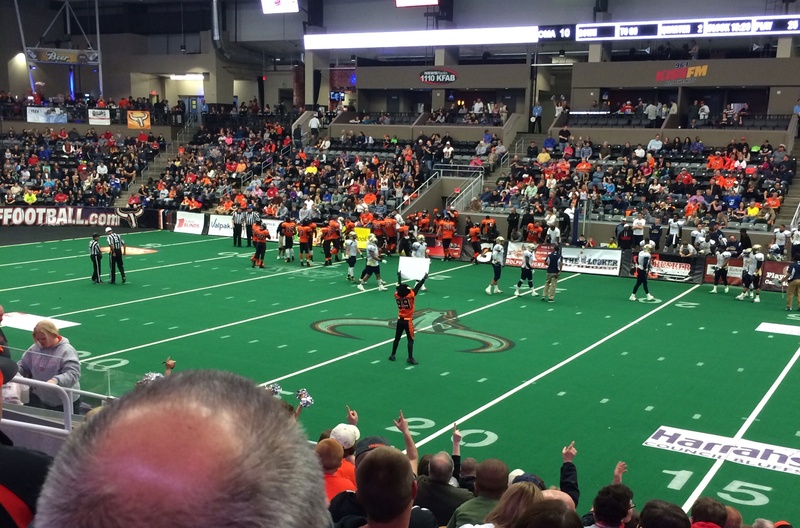 Last night, we went out to our first arena football game. Good Southerners that we are, my husband and I love football but we haven’t been to a game in ages. We were looking for something indoors to do for date night (so grateful that we’ve found a reliable regular babysitter that O loves!) since it was cold but I wanted something that felt a little more active than watching a movie or something similar. Watching other people get active counts right? 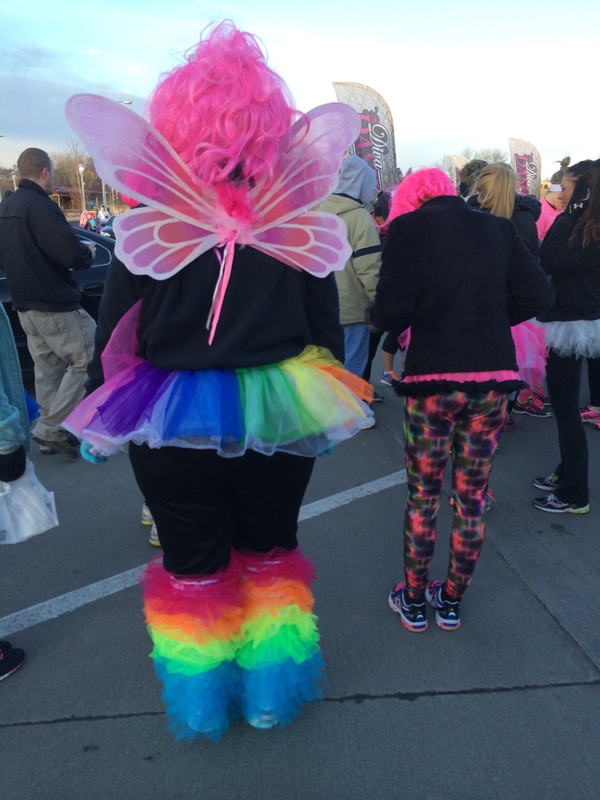 The run was a Diva Dash 5K and this is its second year in Omaha. It’s definitely very female-centric. I don’t think I saw a single guy running, although I did see a lot of kids which is always fun. Packet pick up on Friday afternoon and the unofficial “home base” on Saturday morning was the fantastic Jones Brothers cupcakes at Aksarben. Darrell & O came along on Saturday morning mostly for an excuse to hang out and wait for me in the cupcake shop. Lots of kids out running with their moms, which was cool! It was very chilly this morning so rather than the blingy hot pink shirt they handed out Friday afternoon, I wore my usual cold weather running gear. It was cold and windy this morning – around 20 F without the wind chill factor – so it didn’t take long for my hands, face and feet to get frozen even though I didn’t wait outside very long before starting. I think my feet didn’t thaw out until I was almost done. It was like running on numb blocks of ice! It was also too cold to maneuver my fingers well enough to take any pictures on the course. I am very glad I got a picture of this lovely lady though – absolutely my favorite outfit all day! When I registered for this 5K, my only goals were A) to finish the run, since I haven’t actually run 3 miles since the Princess Half Marathon almost a month ago! and B) ideally, keep it below a 11:00 minute mile pace, unless I was having toe problems. 11:00 minute miles aren’t particularly speedy, but my long runs were between 10-11 minute miles pre-PHM, so I wanted to get back there. I’m happy to say that I met both of those goals. It was a much hillier course than I was anticipating, including a rise of over 100 feet over about a quarter of a mile right in the middle of the race. The second mile was pretty hilly in general, so that was definitely my slowest split. My overall pace was 10:23 minute miles, which more than met my goals for this run. I was particularly pleased because I checked my pace as I neared the finish and saw that I was below a ten minute mile pace. I decided that my goal for the last half mile of the run was to stay below a 10 minute mile the entire time. I knew the hills were all behind me or I wouldn’t have set that goal! I will be honest – that definitely felt like a lot of work, to keep pushing to maintain a faster than usual pace for me for the last half mile. 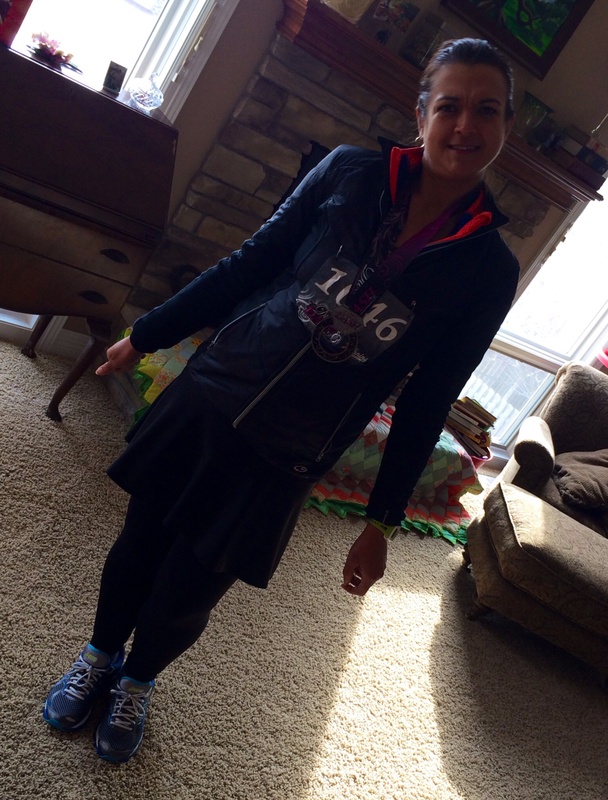 I even stopped at one point to walk, slowing down for a couple of steps – with the finish line in sight!! – before I told myself that it was hard but not impossible. I picked it back up for the finish (and love my super fast little 0.1 mile at the very end!). I think my brain was just getting in the way – just because moving my feet a little faster than normal is hard doesn’t mean I can’t do it, right? My official finish time (it was a chipped race) is 32:30 (#33 out of 136 in my age group; #191 of 832 overall). I think that makes it my third fastest 5K, which is good in that it is nice to see that I’m getting faster over time, even in races like this that I’m not really training for. This was definitely faster than anything I ran in my first year of running. I really love events like this because there were participants at all different levels of ability and yet everyone was out there having a good time. The top finisher ran it in 18:52 and the top 3 were all under 20 minutes, so there were definitely some speedy ladies out there. 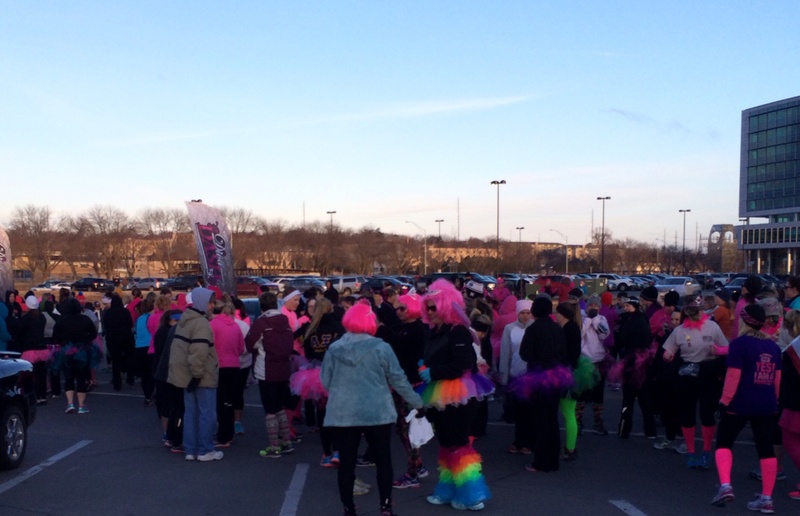 There were also lots of walkers and run/walkers and lots of laughter and smiles. I love low key events like this that get people out and active and having a good time – anything that makes people think that exercise is fun is a win in my book! My husband was feeling “artistic” taking my post-race photo. On to my favorite internet reads of the week! Laura has been struggling with some life issues and running pains, so I was so excited to see how well her 5 mile race went this weekend. More than her time, I could tell in her story that she had reclaimed some of the joy of running and isn’t that why we’re all here anyway? Congrats Laura! I’m so excited for Karen that she got to run with her husband in his first 5K! I confess that I would love to do that one day (hint, hint honey!). I also love that she couldn’t rein in her competitive spirit and kicked past him at the finish line. 🙂 Check out her post for that picture if nothing else!! Running Happily Ever After introduced me this week to a site called Athlinks (link here; link to their post here). Athlinks has the ability to search lots of different race sites and was able to pull up many (not all) of the chip timed races I’ve done (as well as lots of other Jessicas that weren’t me). You can see your friends and their races as well, which is fun. The site kept freezing on me earlier, so I haven’t finished going through the entire set up process but I’m Jessa_Snow if anyone else is on board yet! If you haven’t read Dimity’s article in Runner’s World this month, please please check it out, but if you can’t get to that, absolutely read this post she wrote about the response to the article and how EPIC we all can be. It made me teary just reading it. I have really found all of the amazing women I’ve encountered in the running community to be incredibly inspiring. There is such a range of athletic ability and yet we all get out there, one foot in front of the other, and it doesn’t matter the pace or the ease in which we run. The effort itself is worthwhile and respected because we are striving and that is EPIC. I love that. I hope you all have an EPIC weekend, not matter what you choose to do!